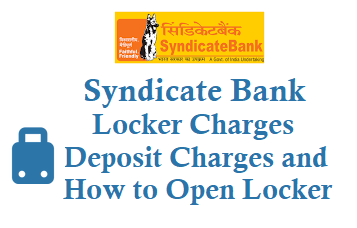 If you are a Syndicate bank customer then you can open a security locker in your bank branch, all you need to do is choose the size or Type of Lockers then open the locker, the syndicate bank locker rent charges depends on the category or type of locker you have, see below for Syndicate Bank Locker Charges and Locker Security Deposit. 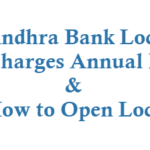 For Syndicate Bank Small Locker in Metro Cities Rs 2000, Urban or Semi Urban Rs 1500 and in Rural areas Rs 1000 per annum(yearly charges). In Metro cities Rs 4000, Urban/Semi Urban Rs 3000 and in Rural areas Rs 2000. In Metro cities Rs 7000, Urban/Semi Urban Rs 6000 and in Rural areas Rs 4000. In Metro cities Rs 10000, Urban/Semi Urban Rs 8000 and in Rural areas Rs 6000. 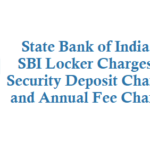 While opening a syndicate locker you also need to make Locker Security Deposit based on the type of the locker, see below for the Locker Security Deposit charges. 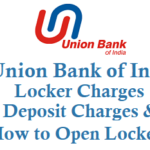 Locker Security Deposit for Syndicate Bank Small Locker in Metro Cities Rs 12000, Urban or Semi Urban Rs 10000 and in Rural areas Rs 8000 per annum(yearly charges). In Metro cities Rs 15000, Urban/Semi Urban Rs 14000 and in Rural areas Rs 10000. In Metro cities Rs 20000, Urban/Semi Urban Rs 20000 and in Rural areas Rs 15000. 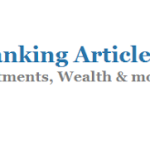 In Metro cities Rs 25000, Urban/Semi Urban Rs 25000 and in Rural areas Rs 20000. Visit your syndicate bank home branch and write a letter and fill the form to open security deposit locker and make a deposit based on the locker size and avail the service. If you are a holder of Synd Supreme account then you get 25% discount on Locker Rent for Small and Medium Lockers in all syndicate branches.  How many times you can visit for locker? Upto 24 times its free in a year, there after Service charge of Rs 20 + GST is charged per operation/visit. 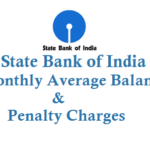 Note: Above mentioned charges are effective from 1st February 2019 year. One time locker registration charge of Rs 400 + GST is applicable. 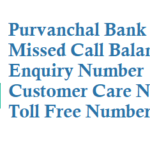 If you have lost the locker keys then visit the branch and inform the same then for the Loss of the locker keys Rs 750 + GST is charged and in addition to actual expenditure incurred for break open and replacement of the lock and keys.